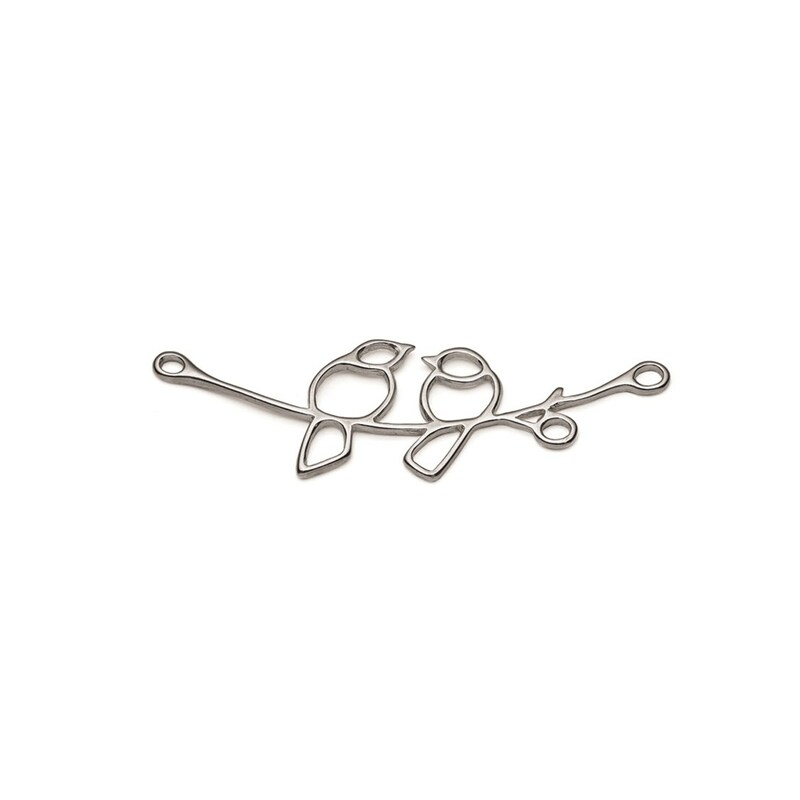 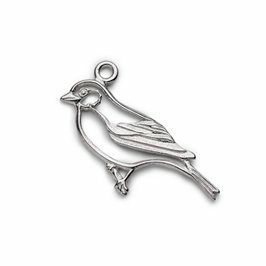 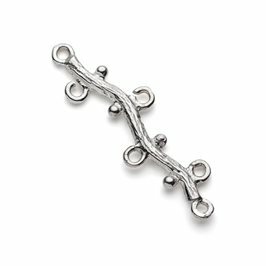 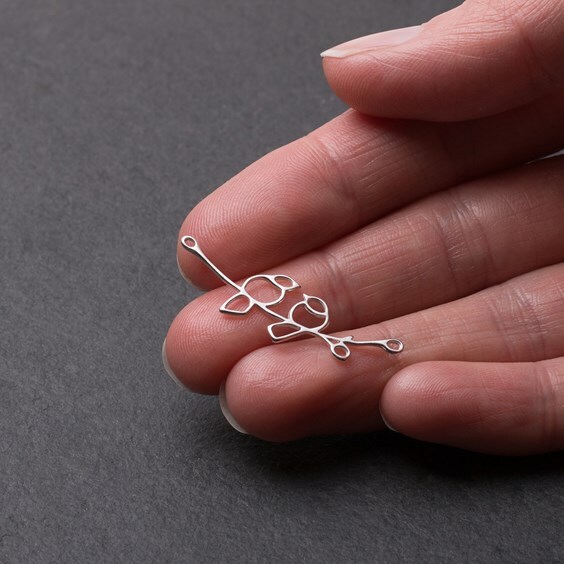 We fell in love with these sweet sterling silver lovebirds on a branch connector links as soon as we saw them! 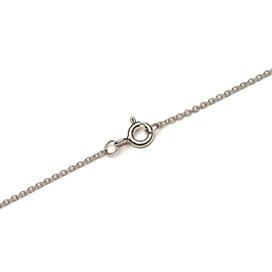 The link has two pretty little lovebirds on a branch with closed loops on each end and one offset loop on the underside. 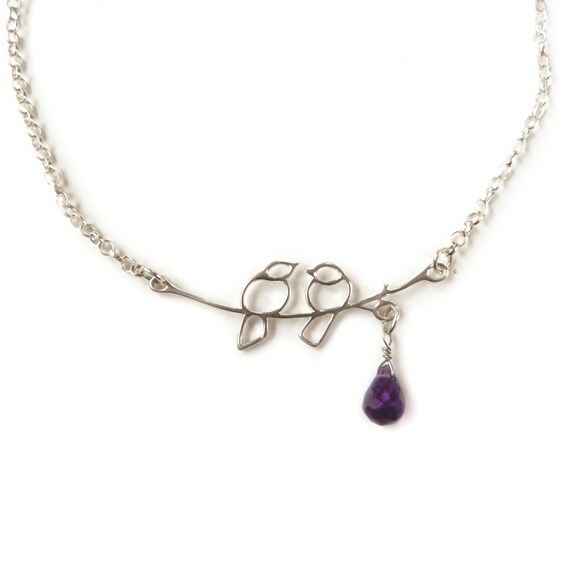 The tails of the birds could also be used to attach wire-wrapped gemstone beads or briolettes as these are also open loops. 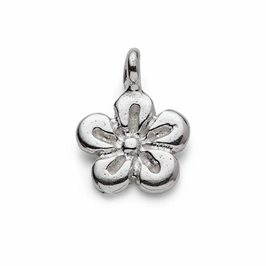 These connectors are beautifully made and can be used as a pendant with some of our gorgeous sterling silver bird and leaf charms attached for a whimsical 'back to nature' look or add a length of chain to either side for that contemporary look for a necklace or bracelet.